Li et al. 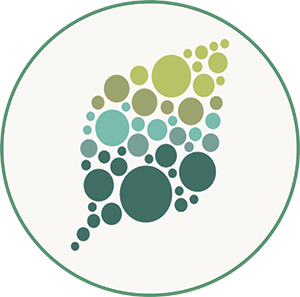 take a new approach to identify a transcription factor that regulates γ-zein gene expression during maize endosperm development together with other transcription factors. Background: Zeins are the most abundant storage proteins in maize seed, and as such, they affect its nutritional quality and texture. However, zein proteins lack two essential amino acids, lysine and tryptophan. Thus, maize, one of the most productive crops in the world, cannot provide balanced nutrition to poultry and nonruminant livestock without additional lysine and tryptophan. The 27-kD γ-type of zein is one of the most abundant types of this protein. Studying the regulation of zein expression should help improve seed protein quality. Several transcription factors (TFs) (O2, PBF1, OHP1, and OHP2) have been found to regulate the 27-kD γ-zein gene. However, the complexity of its transcriptional regulation is not fully understood. Question: Do any other TFs regulate the 27-kD γ-zein? How is the activity of multiple TFs coordinated to regulate the expression of the single 27-kD γ-zein gene? Findings: In this study, we used an unusual approach based on the use of a biotin-labeled probe and nuclear protein from developing maize endosperm to identify ZmbZIP22, a TF that interacts with the 27-kD γ-zein promoter. ZmbZIP22 was demonstrated to regulate the expression of the 27-kD γ-zein gene based on experimental data in vitro and in vivo. This basic approach could be used to identify any other DNA binding regulators for a given gene promoter. We found that ZmbZIP22 interacts with other regulators of the 27-kD γ-zein gene. These factors act together to fine-tune zein gene transcription, thus ensuring storage protein accumulation. Moreover, in zmbzip22 knockout mutants, the expression of the 27-kD γ-zein gene was significantly reduced, resulting in improved seed protein quality, including increased lysine and tryptophan content, with no obvious changes to other seed traits. Next steps: We aim to further improve the nutritional quality of maize kernels by combining the zmbzip22 mutant with other kernel mutants with slightly improved protein quality. Genome-wide characterization of ZmbZIP22 binding sites revealed other direct target genes of ZmbZIP22, such as ZmGRP1. Further studies will also focus on the functional analysis of these genes. Chaobin Li, Yihong Yue, Hanjun Chen, Weiwei Qi, Rentao Song. (2018). 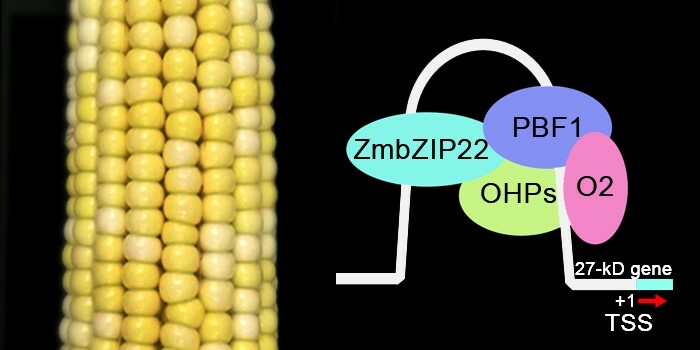 The ZmbZIP22 Transcription Factor Regulates 27-kD γ-Zein Gene Transcription during Maize Endosperm Development. Plant Cell 30: 2402-2424; DOI: https://doi.org/10.1105/tpc.18.00422.